Fairway provides our advertisers with penetrating coverage of Tennessee with strategically positioned out-of-home media displays located on primary and secondary arteries. Chattanooga is the hub of a thriving region because it is located at the crossroads of the three states: Alabama, Georgia and Tennessee. 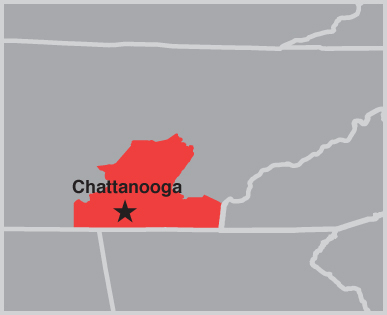 An extensive system of highway, air, water and rail transportation helps make Chattanooga a major transportation and distribution center.